In the aftermath of Russia’s five-day war with Georgia in 2008, the National Security Council (NSC) met to review U.S. policy toward both countries. 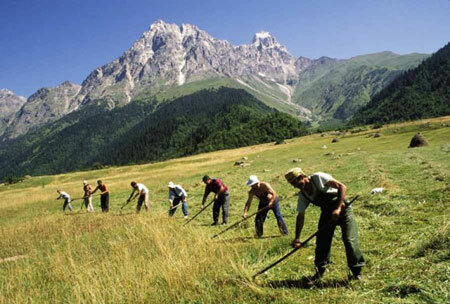 Some urged elimination of USAID’s program in Russia. But USAID’s Russia program promoted democracy and development in Chechnya–a program Russia’s leaders would be all too happy to eliminate. Susumu Ken Yamashita, AID’s representative at a crucial NSC meeting, had a better idea: a massive program to help rebuild the parts of Georgia that Russia had invaded and briefly held. How big? Surprised by the positive reaction to his idea, Yamashita quickly proposed the sum of $1 billion. He was even more surprised when the number was accepted. Susumu Ken Yamashita was serving as the Senior Deputy Assistant Administrator in USAID’s Regional Bureau for Europe and Eurasia during the time of the invasion. Shortly after, Yamashita became Acting Assistant Administrator and helped oversee the plan created to allocate funds to Georgia. He would later serve as USAID’s mission director in Colombia and Afghanistan before retiring in 2016. Back when the United States had diplomatic missions in Iran, a young Foreign Service Officer travelled with members of the nomadic Bakhtiari tribe to better understand their culture and politics. Malcolm Butler recalls camping with the Bakhtiari at the time of the 1969 Apollo IX moon landing — and trying to convince his skeptical hosts that the grainy images he showed them represented actual humans on the moon. More substantively, both the nomads and students Butler met at Iranian universities betrayed signs of discontent with the Shah’s regime well before the 1978 Iranian Revolution. In 1975, Butler would go on to work with the National Security Council under Henry Kissinger, and eventually become intimately involved in the work of the United States Agency for International Development (USAID). As Mission Director for USAID in the ‘80s, he would lead programs in Bolivia, Peru, Lebanon, and the Philippines, also acting as Executive Secretary from 1983 to 1985. His wife, Tish Butler, was in Beirut during the embassy’s bombing in 1983. Nine days after David Sprague arrived in Pakistan to work for the U.S. Agency for International Development (USAID), a plane crash killed President Muhammad Zia-ul-Haq and American Ambassador Arnold Raphel. Three months later, in December 1988, Benazir Bhutto became the prime minister–and the first female to lead a democratic government in a Muslim majority country. Bhutto’s support for girls’ education coincided with USAID’s desire to expand its Pakistan program. With strong Washington support, USAID Pakistan launched an ambitious program that contributed to a 70% increase in girls’ enrollment in two conservative provinces bordering Afghanistan. The program was halted six years later when the Pressler Amendment forced a cutoff in aid in response to Pakistan’s nuclear weapons program. U.S. President George H.W. 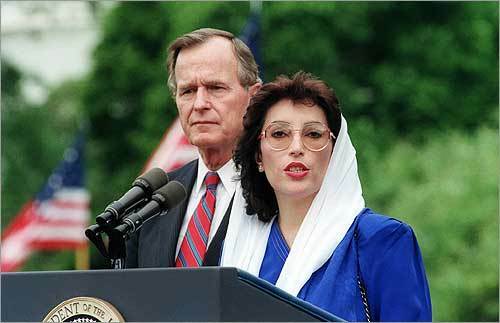 Bush invited Bhutto to a state visit in June 1989. The National Security Council and White House aides pushed hard for policy initiatives to support the Bhutto government — and provide “deliverables” for the state visit. Pakistan had struggled for decades to improve its education program. By 1988 Pakistan was in the midst of its seventh five year plan, which still failed to reach target goals for literacy and enrollment rates. USAID quickly developed a primary education program that concentrated on Balochistan and the North-West Frontier Province (NWFP), with a particular focus on increasing the number of girls in school. David Sprague began his career with USAID in 1972, as a civil servant in the Office of Education. Already a leader in the education sector, Sprague transferred to USAID’s Foreign Service in 1988 and assigned as an Education Officer in Pakistan. He stayed for five years. He later served in Ukraine and Bangladesh. After retiring from USAID in 2001, he was an education consultant to USAID and the World Bank. When terrorists struck Americans in Saudi Arabia in 2004, Washington and a global public wanted answers. 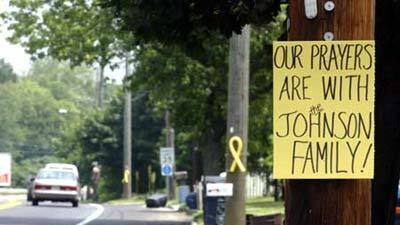 In June, Al-Qaeda kidnapped and executed Paul Johnson, an American helicopter engineer working for Lockheed Martin. He was the fifth Westerner killed in Saudi Arabia in roughly one week. Just months later, operatives linked to Al-Qaeda fought their way into the U.S. consulate in Jeddah with machine guns and explosives. Consulate security forces prevented the attackers from entering the main building until Saudi forces secured the area. Throughout this tense period Washington officials, family members, and a voracious international news media needed information. Public Affairs Counselor Carol Kalin had to keep all these audiences informed and respond to their inquiries. Kalin recalls her experiences during this dangerous period. Carol Kalin began her career in the Foreign Service as an economic officer in 1993, but later shifted to work in public diplomacy. She would go on to serve in multiple other capacities, including as a Congressional Liaison Officer in Afghanistan at the height of the war. Kalin was deputy chief of mission in both Beirut, Lebanon (2001-2003) and Nouakchott, Mauritania (2010-2012). 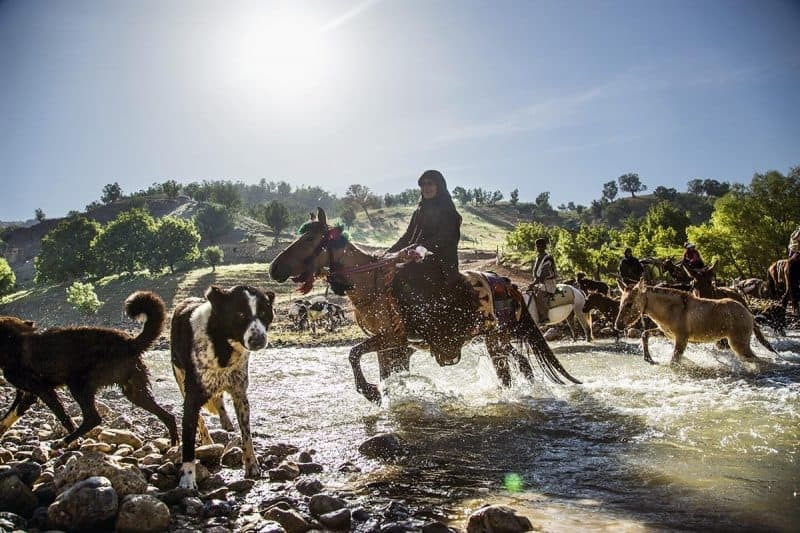 For countries in the Jordan River Basin, water is a life-or-death matter. Disagreements and even armed skirmishes over water issues between Israel and Arab states played an important role in the lead-up to the 1967 Six Day War. A decade later, USAID Foreign Service Officer Selig Taubenblatt found himself mediating long-standing water disagreements between Israel and Jordan. In 1975, Jordan decided to build the Maqarin Dam, later named Al-Wehda Dam, on the Yarmouk River not far from the Golan Heights at the Jordan-Syria border. The dam was to supply Jordan with water for human and agricultural use, and produce electricity. But nothing is simple in this region. Israel protested, claiming the dam would interfere with Israeli rights downstream on the Yarmouk, a major tributary to the Jordan River. When both Jordan and Israel asked the United States to provide “good offices” in resolving water disputes, Taubenblatt emerged as a key player in thrashing out numerous technical details. Jordan refused to conclude a final agreement without the assent of an as-yet unformed and unrecognized Palestinian State. Ultimately the Israel–Jordan Peace Treaty of 1994 resolved outstanding water issues associated with the Maqarin/Al-Wehda Dam, which opened in 2011. James Cox knew that Soviet officers would stonewall a foreigner like him, but there was a chance that regular soldiers might express their grievances to him. In the midst of the 1991 Soviet coup attempt, Cox sought information to report to the U.S. Embassy. So when the officers were not looking, he launched into a tirade about the coup, hoping to solicit a congenial response from a startled group of Russian soldiers–and it worked. The soldiers said they had no idea where their officers were leading them, or why. The information was invaluable to the U.S. Embassy team attempting to make sense of it all. The leaders of the August 1991 coup attempt sought to remove reformist President Mikhail Gorbachev from power and preserve the Soviet Union. These hardliners confronted Gorbachev and isolated him under house arrest. On August 19, the coup leaders declared a state of emergency, sending military units into Moscow. Boris Yeltsin, president of the Russian component of the USSR, condemned the coup and called for a general strike. People responded by rallying around Yeltsin. As the coup lost momentum, its leaders fled Moscow, the military pulled back, and the coup collapsed. Though Gorbachev returned to power, the damage was done, and the dissolution of the Soviet Union followed in December of the same year. Lt. Col. James Cox came to the U.S. Embassy in Moscow with extensive qualifications in the Russian language, having served as a Russian instructor at the U.S. Military Academy and a Soviet foreign area officer in East Germany. After his time in Moscow, Cox went on to serve as a defense attaché in Warsaw and worked with the Department of State as an arms control delegate at the representative for the United States in Europe. One of the deadliest terror acts in Sri Lanka’s long civil war was the 1996 bombing of the Central Bank, which cost almost 100 lives–and threatened to unleash economic and financial chaos. USAID was able to move quickly to replace the bank’s computer system, restoring its vital functions, and preventing panic from spreading through the country. Mission Director David Cohen recalls our response in this ADST oral history. Sri Lanka’s bloody 1983-2009 civil war grew out of longstanding ethnic and religious disputes. The Liberation Tigers of Tamil Eelam (LTTE) developed into a formidable military and terrorist force, prompting an increasingly violent government response, culminating in the group’s destruction. While it was active, the LTTE held significant amounts of Sri Lankan territory and carried out multiple high-profile operations, including the assassinations of former Indian Prime Minister Rajiv Gandhi and Sri Lankan President Ranasinghe Premadasa. In the 1996 bombing of the Central Bank, LTTE operatives crashed a truck carrying explosives through the main gate. The attack killed roughly 100 people and injured dozens more. 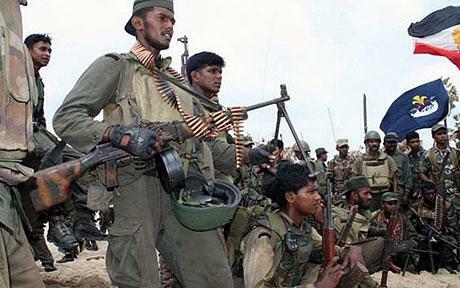 By 2009, LTTE had been reduced to pockets of hard-core fighters. The government’s killing of LTTE leader Vellupillai Prabhakaran effectively marked an end to the war. On August 2, 1990, Iraq invaded Kuwait, quickly defeating that country’s military forces. Iraq then annexed Kuwait, claiming that it was a part of Iraq. The United Nations Security Council unanimously condemned Iraq’s actions and demanded an immediate and unconditional withdrawal. The Council also imposed tough sanctions and other measures, prompting Iraq to detain and hold hostage large numbers of U.S. and western citizens working in the country. Officers at the U.S. Embassy struggled to keep pace with unfolding events, helping U.S. citizens and others avoid becoming hostages and find ways out of the country. Stephen Thibeault played an important role in those efforts — and in briefing an international press corps hungry for information. 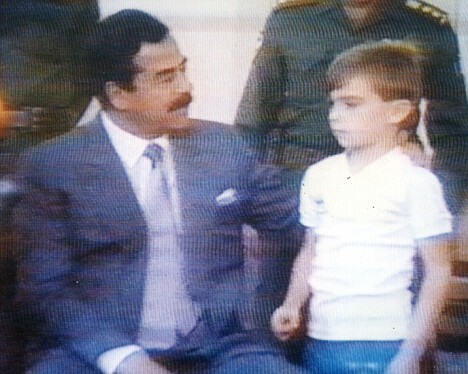 After Iraq, Stephen Thibeault served as public affairs officer in Thailand and information officer in Jordan. He also worked in the State Department’s Bureau of Intelligence and Research in the Media Reaction Office. In December 2010, Tunisian fruit vendor Mohamed Bouazizi proved that it can take just a single moment to spark a revolution. Humiliated and economically desperate, Bouazizi set himself on fire to protest a corrupt and repressive government. That act unleashed a wave of anger that spread first across Tunisia, then much of North Africa and the Middle East. Fueled by social media, the Arab Spring brought protests, riots, government crackdowns, and civil wars from Morocco to Iraq. Years later, it is clear that the Arab Spring brought mixed results. Only Tunisia emerged as a full, parliamentary democracy while others, like Syria and Libya, devolved into anarchy and civil war. Ambassador Gordon Gray was stationed in Tunis when the Arab Spring broke out. President Ben Ali had held Tunisia’s highest office after an election in 1989 where no opposition parties appeared on the ballot. Twenty-three years later, Ben Ali presided over a nation that ranked poorly for freedom of the press, democracy, and human rights. Gray, a career foreign service officer, spent his career largely in the Middle East and North Africa and was an expert on the region. He served as ambassador to Tunisia from 2009 to 2012. You might never guess that the work of a USAID Program Economist could result in a trip to the Vatican for a personal meeting with the Pope, or to Canada as a chief architect of the Montreal Protocol. Richard Elliot Benedick, entering USAID fresh out of Harvard Business School, certainly didn’t. And yet, the work he did as a young twenty-something in Pakistan would one day help him do all these things. Benedick came into USAID and the Foreign Service at a time when it needed more economists. 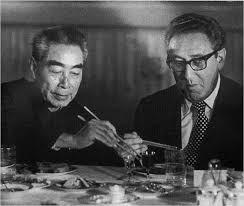 For his first assignment, from 1959 to 1961, Benedick was assigned to Tehran to work on economic reforms. From 1962 to 1964 he was responsible for the same type of projects in Pakistan. His primary assignment was to help develop markets through careful long-term planning. 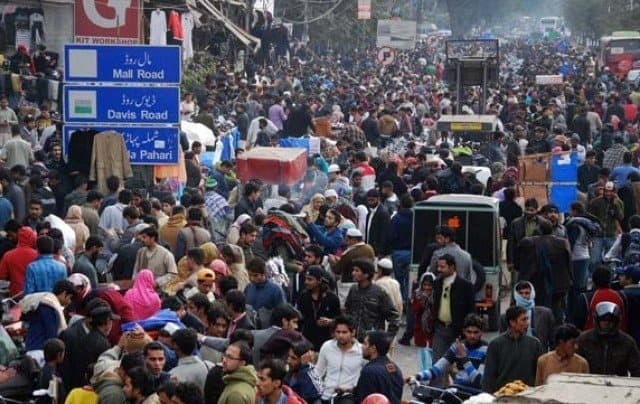 In doing this he realized that, in all their planning, USAID and other entities were failing to take into account the impact of Pakistan’s rapidly growing population. Benedick pushed these issues in Pakistan in the face of much opposition. Over the course of his career he became a pioneering advocate for addressing population factors, as well as environmental issues, in USAID’s development work.